Want a stronger economy? Make the pot a bit sweeter for investors looking to tap into new infrastructure projects and small businesses, says the Investment Industry Association of Canada (IIAC). 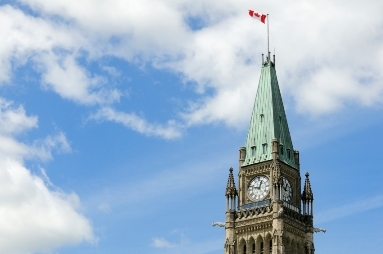 The IIAC has released its new recommendations to offer guidance to the House of Commons Standing Committee on Finance as it prepares for the 2017 Federal Budget. The association highlights four key areas improved investment can boost the Canadian economy, underscoring the government must do more to tap into investment potential, rather than rely on public funds for upcoming infrastructure projects. “There are many mid- and large-sized infrastructure projects in Canada in need of capital, and which could be designed to generate long term stable returns on investment; there is also private sector institutional and retail investment capital available in Canada which could be invested in these projects,” states the IIAC’s recommendations. The association also points to a lack of tax incentives for investors to support small and medium-sized businesses, stating previous governments have failed to put effective programs in place to support small business investment. The aging demographic of today’s retail investor is also of concern, anticipated to “sharply reduce interest in speculative equities”. The association points to the Enterprise Investment Scheme (EIS) and Seed Enterprise Investment Scheme (SEIS) – two successful programs run in the UK – for the federal government to emulate. “These two programs have had a profound impact on the financing of UK small businesses and startups. HM Revenue & Customs (HMRC) data show that since the EIS was launched in 1993- 1994, more than £14.0 billion has been invested in over 24,500 small companies. Most notably, 58% of EIS investment has gone to companies raising EIS funds for the first time. Since SEIS was launched in 2012-2013, over 4,660 startups have received over £424 million in investment,” the IIAC states.